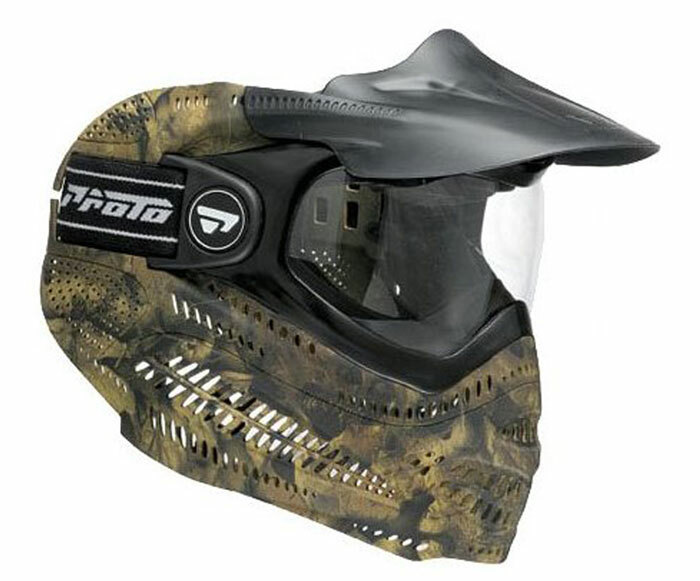 Proto Switch E.L. Anti Fog Single Paintball Goggles – Woodland Camo. Features: Deluxe woven goggle strap for comfort and durability. SKU: SKU19128 Categories: ALL GOGGLES, Dye & Proto Goggles Brands: Proto. Deluxe woven goggle strap for comfort and durability. Tiger tooth strap buckles will allow you to adjust your strap for a custom fit and bite down to secure the strap. The multi-ported ear piece provides unrestricted audible transfer to take place without sacrificing any ear protection. again to lock it in. setting a new standard in visual performance. Self venting, low profile and removable, the Switch visor is able to pivot up and down for easy lens replacement. Solid, light weight, one-piece construction face mask protects you from paintball impacts.